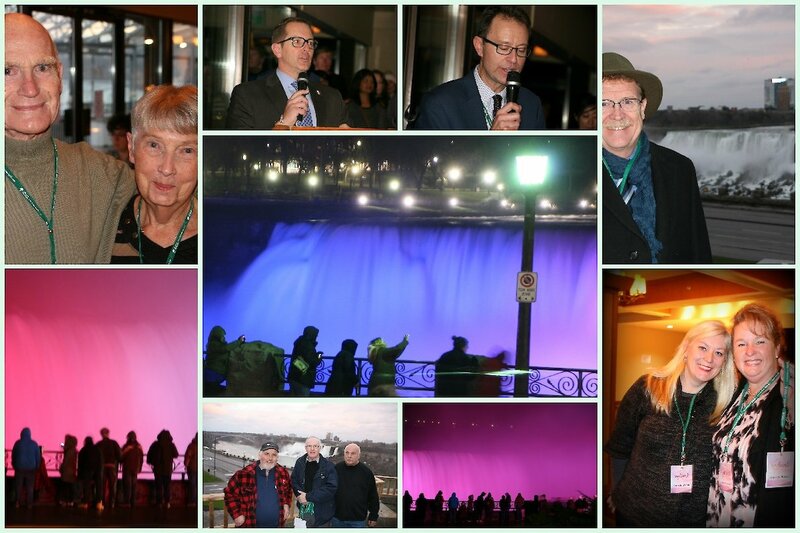 What an exciting evening it was for the two hundred or so that turned out for the official unveiling of the new digital lights that now light up Niagara Falls nightly. Members of the respective organizations that make up the Niagara Falls Illumination Board were on hand to say a few words before the new lights were turned on at 6:10 p.m. last night. We learned (and saw) that these new lights are twice as bright as the old Xenon lights that one time lite up the falls. The power consumption with the new lights is half of the older lights. Well done! There was a live band to keep us in the party mood and even a marching band to keep us all warm. The evening was topped off with a tour of the Winter Festival of Lights displays found in Queen Victoria Park. Here’s a montage of a few of the photos I took of the evening.